For a yoga-inspired athletic apparel retailer, reclaimed rough-hewn wood stools feature a 100% Wool Design Felt seat pad secured with customized Sling Pulls. FilzFelt provided layered squares of felt and Spinneybeck Sling Pulls were custom die cut for the brass finishing nails. 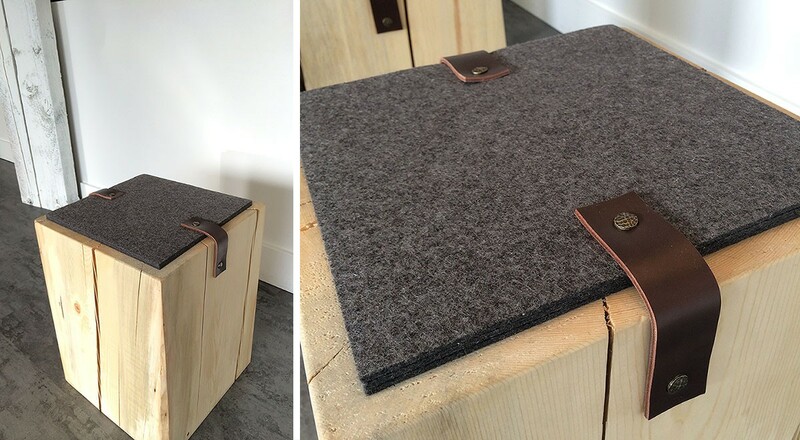 The combination of felt, leather, and natural wood creates a soft yet stylish seat pad so customers can take a breather while shopping. The stool fabrication was completed by the client.